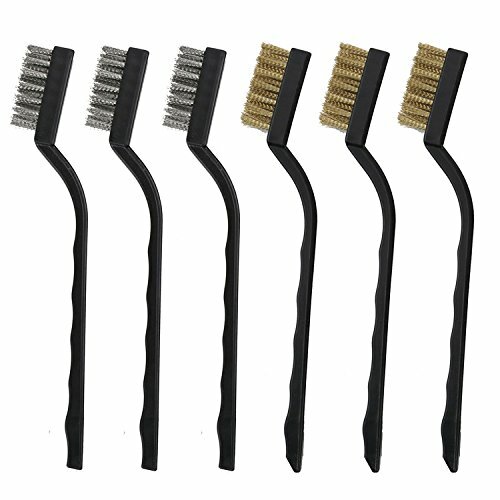 WIRE BRUSH SET: 3 Brass Brushes and 3 Stainless Steel Brushes. Overall Length: approx. 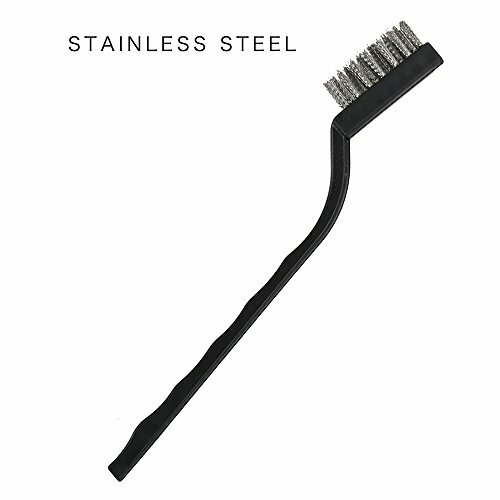 17cm/6.69inches; the brush head length is approx. 4cm/1.6inches. 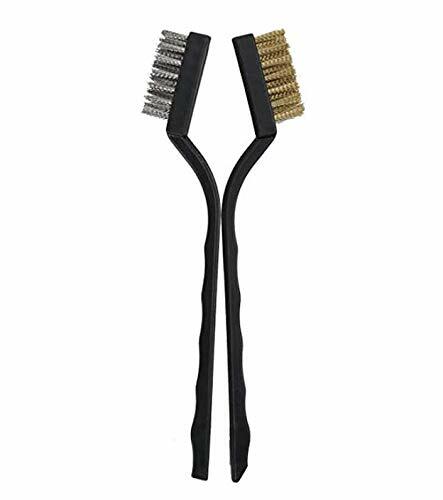 GOOD QUALITY: Comfortable, durable, non-slip fingergrip handles are easy to hold and control. 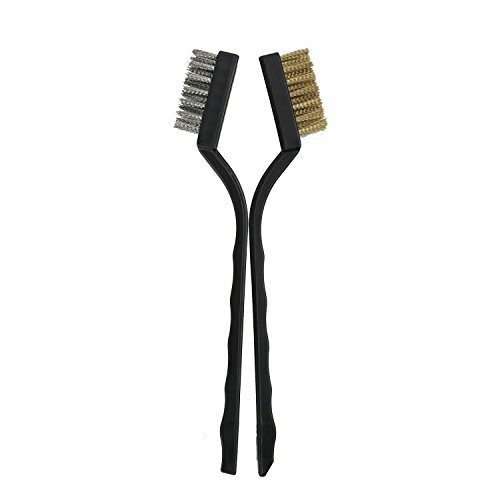 Easy to clean small places and narrow spaces. EASY TO HAND: There is a hole on the end of each wire brush handle, special design is convenient for users to hang and store, you don't worry about drop down. The convex groove on the inside of handle, convenient for you to hold and control. ENOUGH THICK MINI WIRE BRISTLES: The package includes 6 pieces of mini wire brushes, each brush with 3 rows of brush bristles, thick wire bristles can meet your using needs. 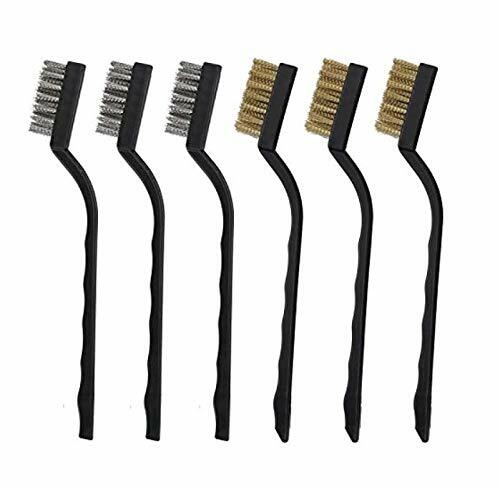 WIDE RANGE OF USES: Mini wire brush can clean metal surfaces, remove rust, polish metal without damaging surfaces or fine features.